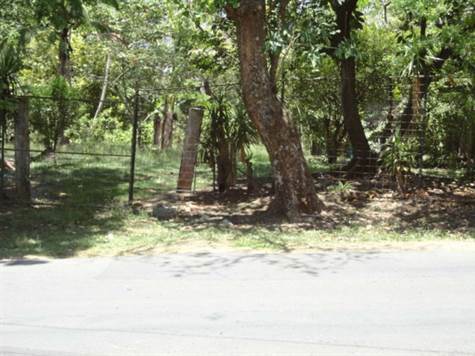 Lot with excellent location in the beautiful area of Santa Ana and near schools, banks, supermarkets, restaurants, office centers, residential condominiums and airport. Near the radial Lindora, in a pleasant and safe place. It has a frontage of 25 meters on Main Street and adjacent to a river at the back of the lot. Ready to build on a growing sector of residential and commercial projects.